If you want to be cynical, charities work on a simple model. They point out a problem, and then use a mix of guilt and sympathy to get us to donate. “Look at this problem. Isn’t it terrible? If you give us money we’ll do something to fix it.” Basically, it’s a kind of outsourcing. Now you don’t need to feel hopeless or useless in the face of human suffering. You’re doing something useful: you’re paying someone to fix it. At some point political activists realised that this was a model that could work for them. They don’t ask us to man the barricades anymore. Instead they get us to pay them to man the barricades on our behalf. The buzz phrase is “outsourcing our activism”. Now we see it all the time. 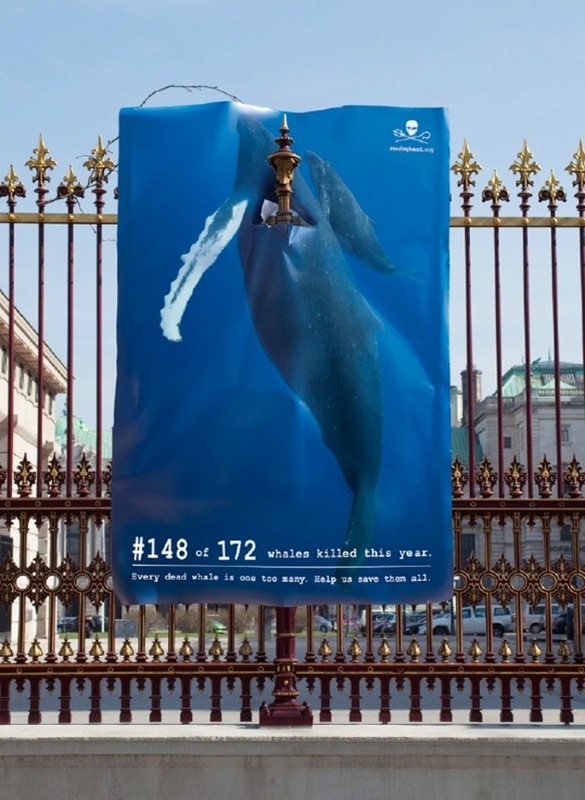 The whales are in danger from the Japanese? Give money to Sea Shepherd. The wilderness is under threat from big mining? Give money to The Wilderness Society. This model has an inbuilt dilemma, though. To keep us engaged as an audience, they need to make us continually feel like we’re doing something useful. BUT they can only ask us for money so many times in a year before they piss us off. So they need to give us something else to do that we’ll find meaningful. The problem is, it’s expensive to keep finding “meaningful somethings” for us to do. Plus, it’s even more expensive to spend the time to package them in a way that makes them easy to act on. 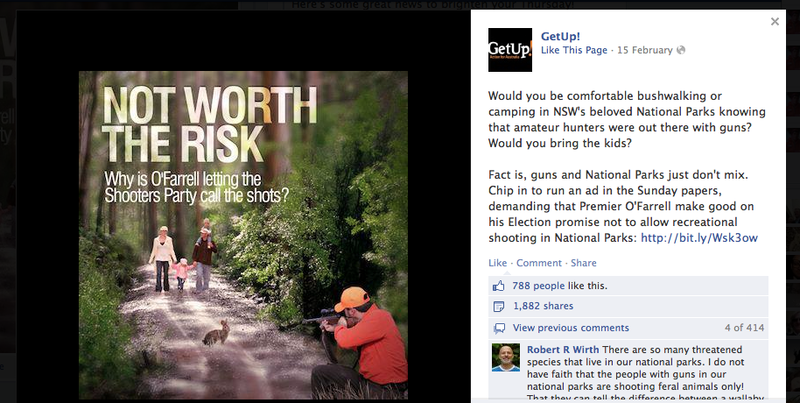 This is where GetUp’s work on Facebook is so clever. But these campaigns are only run infrequently so they don’t use up their community’s “donation” energy. Most of their campaigns are from a second tier. And this tier, while providing us with “meaningful somethings” to do, has cost them little more than a couple of emails to produce. How have they done that? They’ve been very clever and outsourced both their production and the activism. Like with this post here. The basic model has been kept the same. “Look at this problem. Isn’t it terrible? If you give us money we’ll do something to fix it.” They’ve just replaced “give us money” with “click on this link” and outsourced “do something to fix it” to another organisation. The post hasn’t cost them anything to create because it’s been organised by the MEAA. GetUp isn’t responsible for delivering on the promise: that’s the MEAA’s job too. Plus, because the call to action is “Join” GetUp aren’t using up their community’s “donation” energy even though they are providing their followers with a “meaningful something”. If the model works so well for GetUp, it begs the question: how can the rest of us use it?